Merck Animal Health is preparing a feline version of Bravecto, a two-year-old flea and tick preventive for dogs. The Madison, N.J., company reported that the new spot-on medication, Bravecto Topical, earned U.S. Food and Drug Administration approval and should go on sale later this year. A second topical formulation, also FDA approved, is expected to be ready for dogs in early 2017. Both drugs will be available only through veterinarians, Merck stated. The original product, Bravecto (fluralaner), is a flavored chewable tablet designed to kill fleas, the black-legged tick, the American dog tick and the brown dog tick for 12 weeks at a time. The medication is effective against the Lone Star tick for eight weeks. 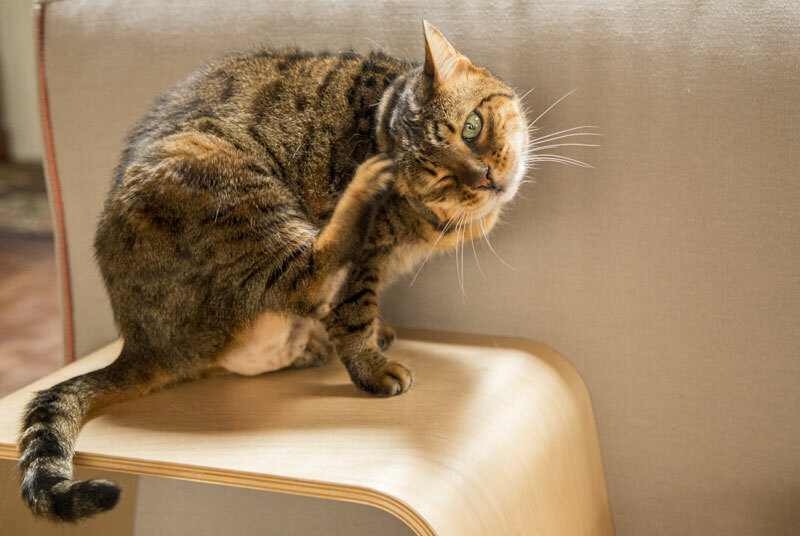 The topical formulation for cats will provide 12 weeks’ protection against adult fleas and black-legged ticks and eight weeks against American dog ticks, Merck stated. The solution may be used on cats ages six months or older and weighing at least 2.6 pounds. The canine spot-on will match the chewable in effectiveness against fleas and ticks, Merck noted. The topical drug may be administered to dogs at least six months old and 4.4 pounds. The spot-ons will come in single-dose “Twist’n’Use” pipettes. Fleas and ticks must attach to the animal and begin feeding in order to be exposed to fluralaner, Merck noted. The active ingredient, an ectoparasiticide belonging to the isoxazoline group, debuted with original Bravecto in May 2014.